When TJ isn’t watching the market, you can usually find him playing some jazzy tunes on his trumpet. If TJ had pursued his initial passion, he’d be playing music for a living instead of working with numbers. An accomplished trumpet player, TJ was the only non-music major member of the Baylor Concert Jazz Ensemble in his college days. 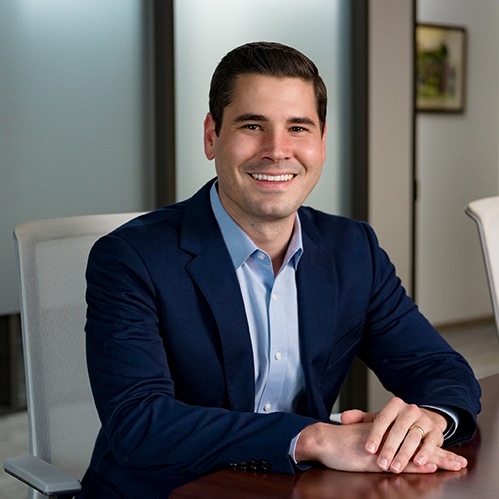 While he still loves any and all types of music, TJ is extremely happy to be a part of Austin Asset on the Wealth Planning team, where his economics and trading background are true assets. TJ is driven by a commitment to not only help people protect their financial future, but also make sure they receive unbiased counsel that is in their best interest. Outside of the trumpet, TJ is interested in martial arts, personal fitness and likes to escape to his favorite spot, Trout Lake, in northern Minnesota. What is your favorite storybook/cartoon character? Batman without a doubt. He used his wealth for good. I like that.